Do You Have Backup Tech? It’s Saturday as I write this and this morning I had to drag myself out of bed at 6:30am to drive my son to his soccer game which kicked off at 8:30am. I’m not sure who decides to schedule these games at such ungodly hours on a Saturday morning but I will find this person and we will have words. The match was in an outer northern suburb of Sydney about a 30km drive from our place which made it even better – nothing like waking up at the crack of dawn on a Saturday and driving for 40 minutes. Before making the trek, I decided to swing by the local McDonald’s drive-thru and grab a very LARGE cafe latte and some hash browns for the road. I needed caffeine, sugar and salt if I was going to make it through this game. As it came time to pay, I tapped my card and it was declined. The kid at the drive-thru said they were having a few problems with the machine, so he asked me to tap again – declined. I asked him if I could just use ApplePay with my Amex and that worked fine on the first attempt. We grabbed our bag of starch and salt along with my massive keg of coffee and began our epic journey north to the fringes of Sydney civilization and I didn’t think anything of it. Just going to inject a proud Dad moment. My son is 14 and he’s not played soccer competitively before. He’s wanted to but something always has seemed to crop up that prevented him from playing – one year he broke his wrist, another year he had stitches in his foot, one season he had this nasty chest infection which lasted about 5 weeks, so it’s kind of like he’s been jinxed. This year, he and some of his mates from school set up a team in one of the lower ranked competitions for a bit of fun – most of these kids have been playing for a few years together, but it’s not super competitive. Zac plays centre back, so most of his time is spent defending and kicking the ball forward to his midfielders. However, because he’s tall and has pretty good touch on the ball so when his team has a corner kick, Zac goes forward into the box. A couple weeks ago he scored his first goal, which was the winning goal in a 2-1 victory – he headed the ball off the cross, but the keeper got a hand to it. Zac snatched the rebound and put it in. I was probably more excited than he was, but to be fair, his best mate on his team (his club’s goalkeeper) was more excited than both of us. We drove him home and the whole way he talked about Zac’s goal. Today, Zac’s team played most of the game short a player (and their coach didn’t even turn up) but won 7-0. He also scored his second goal of the year. The corner kick came in, a defender misplayed the ball, Zac had a very nice first touch to put it his preferred foot and smashed it into the back of the goal. It’s not often centre backs score, but Zac has two goals in five games, so that’s pretty good. Anyway, proud father mode off. While Zac’s team were taking apart these other kids, I was reading the news on my phone when I saw that my bank had a massive outage this morning – everything was offline. Their ATMs weren’t working, their call centre was shut down, no online banking, stores that used their credit card machines couldn’t process transaction and customers using their bank cards couldn’t make payments. This went on for like three hours. We’re not talking about a small bank here, National Australia Bank (NAB) is one of the largest banks in the world with almost $1T in assets. People were having to leave trolleys filled with groceries behind because they couldn’t pay for them. Petrol stations had customers filling up their cars but unable to pay. Cafes had served meals to people and then either couldn’t take payments or their customers couldn’t pay. Interesting side note – one petrol station told customers to come back and pay later when the bank cards were working. They did this with 15 customers. The problems were fixed by about 11:30am and by 2pm, that petrol station said 13 people had already returned to pay and one had called to say he’d be in later in the afternoon. Things like that restore your faith in humanity. Why did this outage cause such havoc? Well, Australia has gone pretty much all in on contactless payments. In the US, something like 8% off all retail transactions are done via contactless payments. Conversely, in Australia, that number is now over 80% and growing. The contactless payment industry in Australia is bigger than in the UK which had three times the population. Even crazier than that, more money runs through the contactless payment system in Australia than in the US. To put this in perspective, I don’t even remember the last time I had cash in my wallet – I am 100% certain that it was in April, so over a month ago. Everything store I go into and everything I buy in person, I tap my card or sometimes my phone. In fact, if my stupid bank wasn’t playing hardball with Apple, I’d be 100% using Apple Pay for everything. But therein lies the problem. What happens when the technology fails completely and we can’t pay for our food or petrol because we’ve gotten rid of cash. The first thing I said to my wife when I got home was that I’m probably going to start carrying $100 of cash around. In fairness, I had the Amex and a different Mastercard that I could have used if push had come to shove, but incidentally, I was at a cafe last week where their credit card machine was offline and because they knew me they just said to pay the next day, so it’s not entirely rare, you just don’t think of it. I guess the message I’m trying to get across is, have some technology backup options on hand in case the zombie apocalypse of tech happens. For example, my phone has a 20GB plan, so if our internet at home drops out, I can always switch temporarily to my phone. We also have a 4G wifi dongle kicking around the house with 100GB of credit available as a secondary backup. 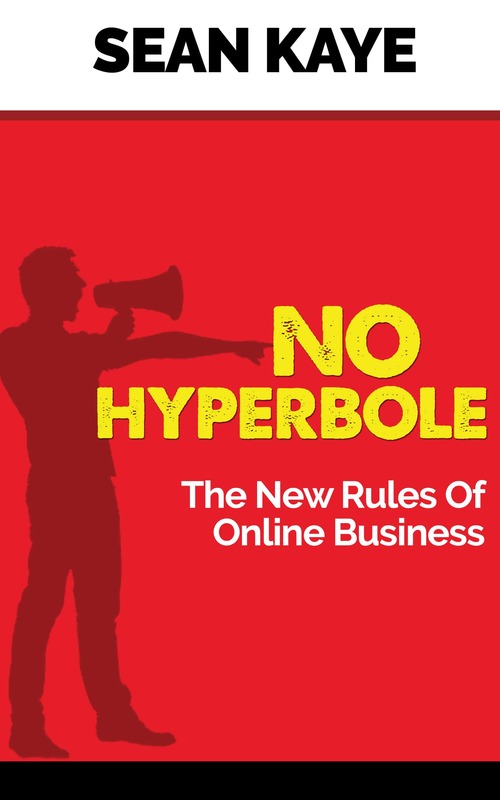 Because we run the online businesses from home, our internet access is a critical utility. In fact, when the National Broadband Network becomes available at our place next month, we’re going to replace our cable router with one that has built-in 4Gx failover. Another piece of technology I have two of is email systems – so I use ActiveCampaign most of the time to send out my daily emails. I also have a SendGrid account that I use once a month just as a failover option – I spend a half hour downloading my email list and uploading it into SendGrid so that in a pinch, I’m covered. I used to have a backup merchant account just in case something went wrong with Stripe, but I let that go as it was causing me a bunch of compliance problems. I take regular backups of my websites (daily full backups) and I send them off to Amazon S3 in an automated process. If my webhost ever goes away, I could recover everything within a day. I could probably take these redundancies further, but obviously, some level of common sense needs to play a role. Have you given much thought to the single points of failure in your various technology pieces within your business? What would happen if your internet connection at home vanished for a week? 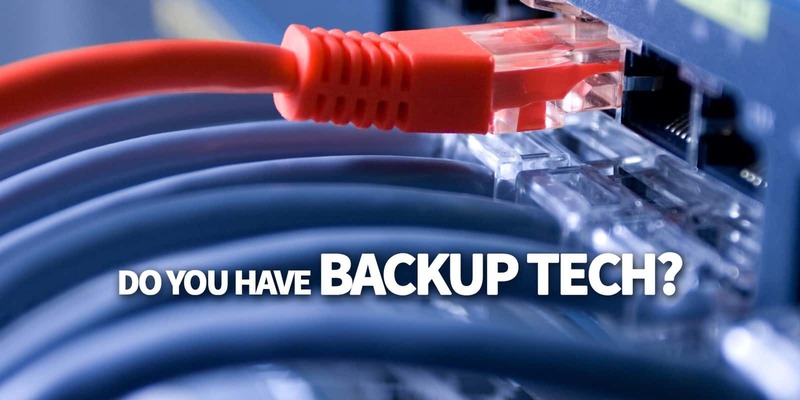 Could you recover your websites from backups if you needed to do that in a pinch? What if your email service provider shut you down? I’d find some time over the next few weeks and have a think about where your weak spots are and what could you do to plug those gaps. I’m going to start carrying $100 in cash and I always have a couple spare internet access methods lying around. That’s the kind of thing that you can do easily and cover your bases for about 80% fo the problems you might have.